I think I just heard Tom gasp. He's always been a fan of minimal bezels.. the more the screen occupies the handprint of the phone the better. 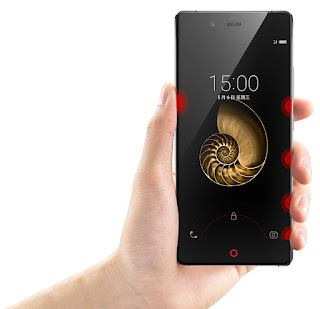 Well, Nubia has just announced their Z9 device and touts it as "the first borderless US smartphone with grip and gesture based controls". Tres interessant! 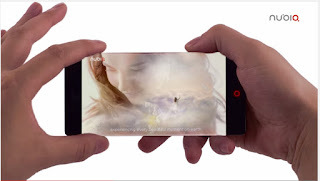 A while ago there was this video sent around that Nubia teased us with this idea of no buttons on your phone and using edges and whatnot to control it - all on a bezel-less phone. It was cool... and it looks like they've now made the phone official for the US (no word on Canadian availability - but I'm looking into it). Some not bad specs there and at typical flagship prices - but it will be hard being the new guy on the block, so let's hope that those (like Tom) who want that edgeless feel of the phone are going to be drawn to it. The unique thing about not just the innovative screen, but that there's touch sensors along the side to be used for a variety of different things (as seen in the video).